Here are some seriously easy recipes you can cook when there is no time to cook. This is a sponsored post on behalf of Tai Pei. All opinions are my own. Try one of these easy Tai Pei recipe ideas to hack your weeknights. We all have those nights where time gets away from us. We intend to cook a meal that is fresh and homemade, but there isn’t any time for the prep work. Instead of ordering takeout, save money and cook something that tastes just as delicious. Here are 3 easy meals that taste homemade but take only minutes to prepare. And they all feature the bold flavors of Tai Pei dinners. 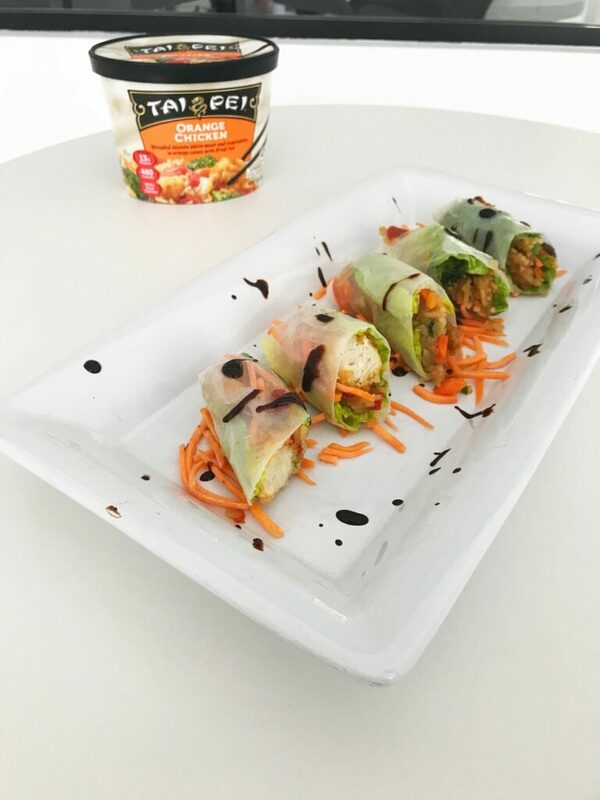 One of the best things about Tai Pei Asian cuisine entrées is that they are made with clean ingredients and they feature flavor-infused rice and no additives, preservatives, artificial flavors or colors. So that’s how they taste so fresh – because they are made with real ingredients. 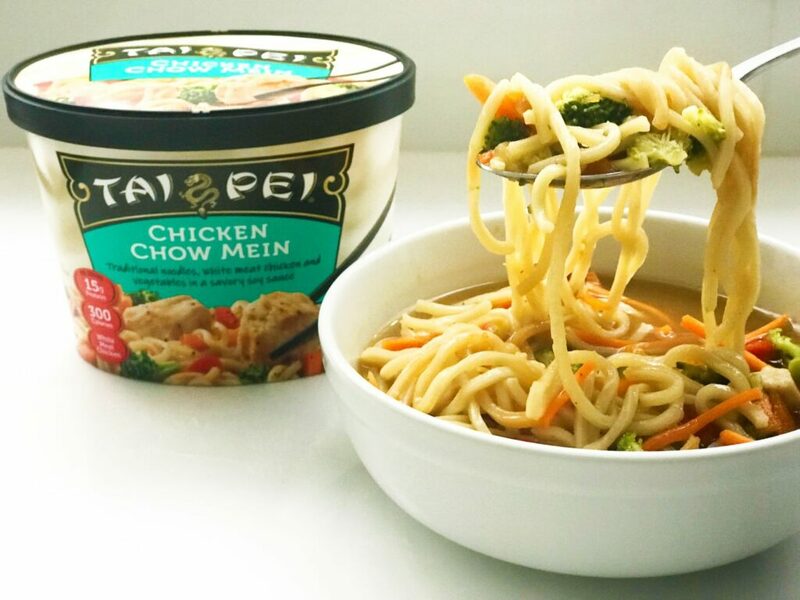 Learn more about Tai Pei foods here. There are ten delicious entrée recipes to choose from and each one can deliver a restaurant-inspired experience straight from your own kitchen (or office microwave) in just minutes. You will enjoy their appetizers and snacks too. Ingredients: 12 oz Chicken Broth, 1 Carton of Tai Pei Chicken Chow Mein, Fresh Shredded Carrots. Heat the Chicken Broth in a medium size pot to boil. Add 1 package of frozen Tai Pei Chicken Chow Mein and shredded carrots to a pot of boiling stock and bring to boil again. Season with sesame oil and salt and pepper to taste. Top with cilantro leaves if desired. Bake some peppers and stuff them with Tai Pei Peppered Steak. This easy recipe makes 2 servings. The prep time is about 5 minutes and the cook time is 20-30 minutes. Ingredients: 2 or 3 Bell Peppers (Green, Yellow, Red or a combination of all three!) Make sure the bell peppers can stand on their own. Cut the tops off bell peppers, discard seeds and membranes. Set aside bell peppers and top parts. Cook Tai Pei Pepper Steaks for three minutes only. 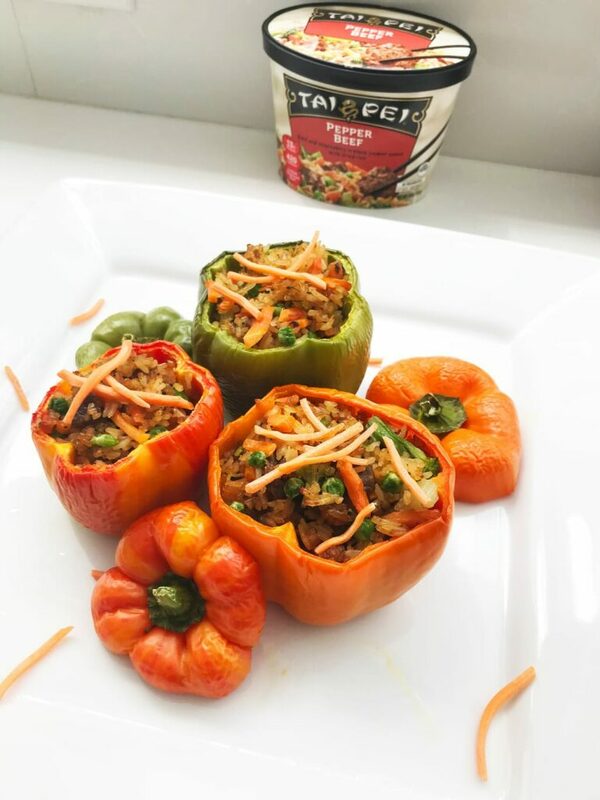 (It will finish cooking in the oven) Spoon and divide contents into bell peppers and place in a baking pan. Add a few strips of shredded carrots. Put tops back and bake in a 360 degree preheated oven for 30 minutes. These are great appetizers to serve to guests. It will make 3-4 servings depending on the size of each roll. The prep time is about 10 minutes and the cook time approximately 5 minutes. Ingredients: 1 package Tai Pei Orange Chicken, fresh lettuce and 1 pack of Spring Rolls skin (available in the Asian aisle of major grocery stores). Soak spring rolls skin on a plate with warm water making sure that both sides are slightly damp. Lay wrapper flat, in a row across the center, lay one lettuce leaf. Add two tablespoonful of cooked orange chicken on lettuce leaving two inches uncovered on each side. Fold uncovered sides inward, then tightly roll the wrapper, beginning at the end with the lettuce. Repeat with remaining ingredients. Serve with plum sauce or soy sauce with lemon. Go here to learn more about Tai Pei Food. Find Tai Pei near you using their store finder map. Be creative and cook your own Tai Pei Recipe. When you do, share it here so we can all learn more ideas without spending time we don’t have in the kitchen.